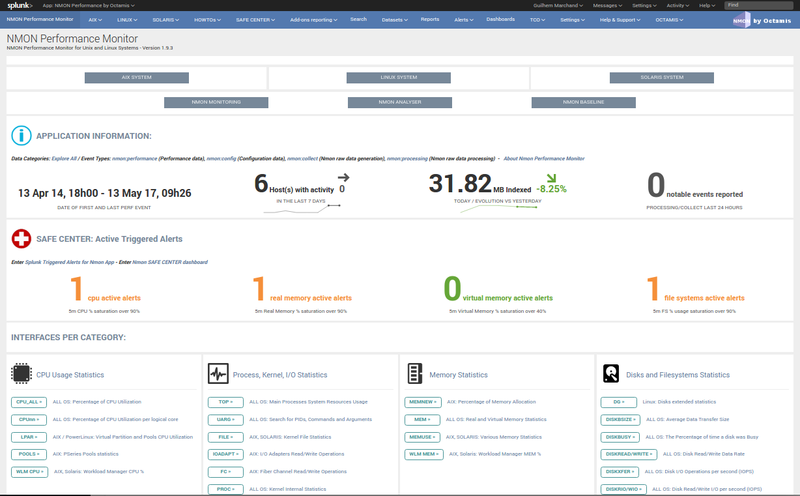 As a fellow Splunker since many years now, I had the chance to develop and maintain the Nmon Performance application for Splunk, with the goal to get the best features and user experience to provide a strong and complete monitoring solution for your Unix and Linux servers. In this article, I will compare (as much objectively as possible!) 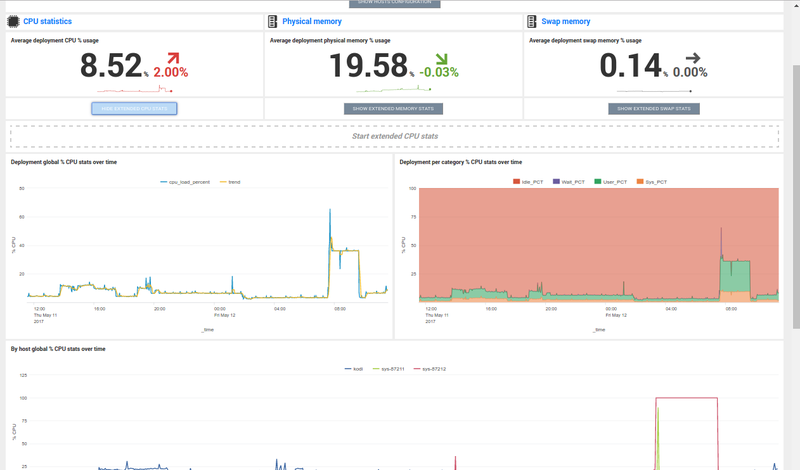 the Nmon application versus the legacy Splunk application for Unix monitoring, Splunk app for Unix. 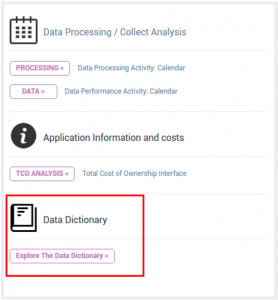 Data source can be activated / deactivated on a per data source basis. Time between measures can be increased to lower the volume of data to be generated. community support for free users and company support for users under support contracts with Octamis ! 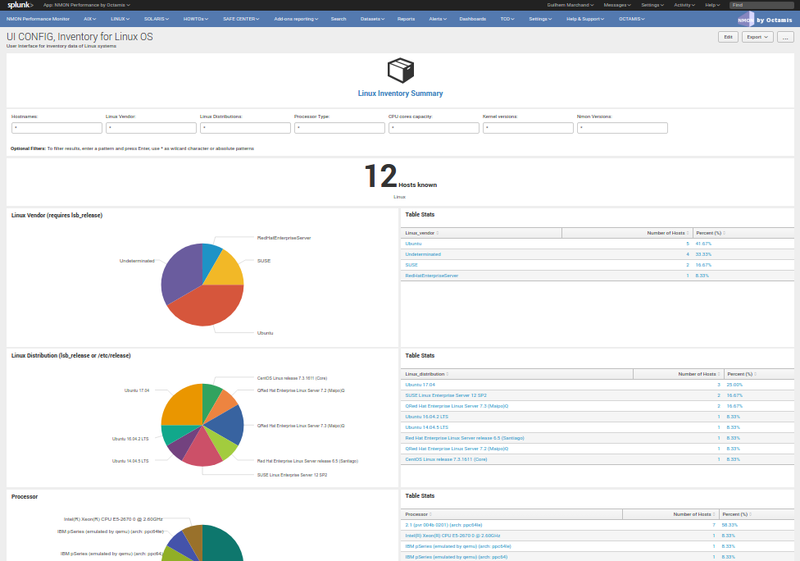 The volume and the content of the data can be centralised through a unique configuration file (nmon.conf) that allows to manage the interval between performance measures. Various options such as nmon binary startup arguments are available and customisation is available through the nmon.conf file. This list is not exhaustive, additional metrics are reported by both applications. 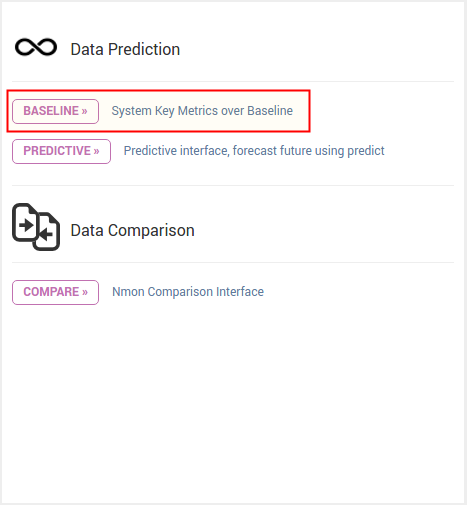 As well, The Nmon application implements the “nmon external” feature which allows adding non native nmon metrics in the nmon processing. Linux: binaries for most distribution and architecture are embedded.If no suitable binaries can be found, the addon will try to use the one available in PATH.This feature can be controlled by configuration, and give the priority to locally available nmon binaries. Interpreter: For various processing tasks, the addon relies by default on Python 2.7.x. Privilege / permissions restrictions: can run as unprivileged user ? Yes, but privilege restrictions generate metrics to be unavailable on some systems Yes, with no restrictions. Some of these monitors are specific per system and architectures, such as IBM frames monitoring (for AIX, PowerLinux) and Solaris zone statistics. A basic Linux system will have about 15 types of performance metric, each type of metrics can contain dozens of performance monitors. This is basically unstructured data, and all the fields (but Metadata) are extracted at search time. 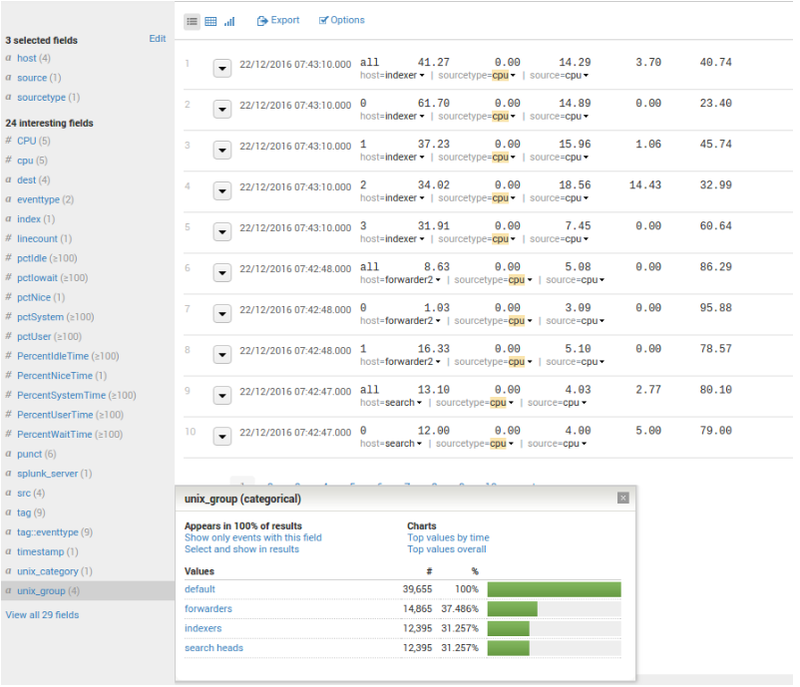 On the other side, Nmon Performance generates by default csv structured data with a common schema to all the data to be generated. 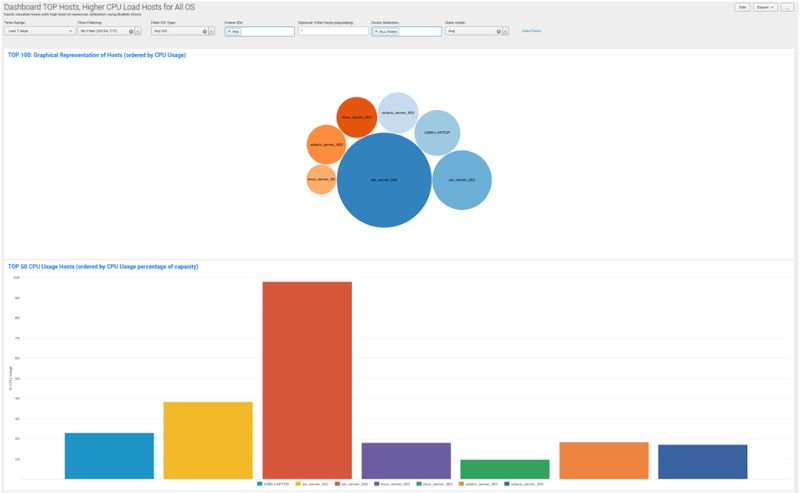 CSV ingested data is being indexed as structured data and fields are indexed fields, this provides an high level of performance with a very low level of licensing volume. 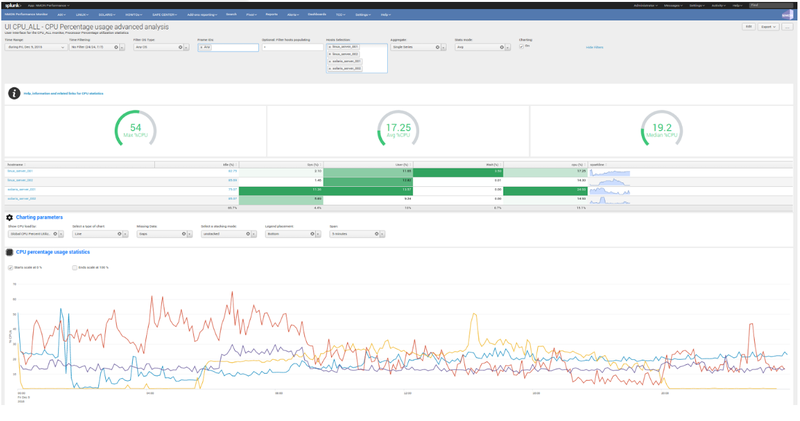 Nmon Performance focuses on pure performance metrics and inventory data. 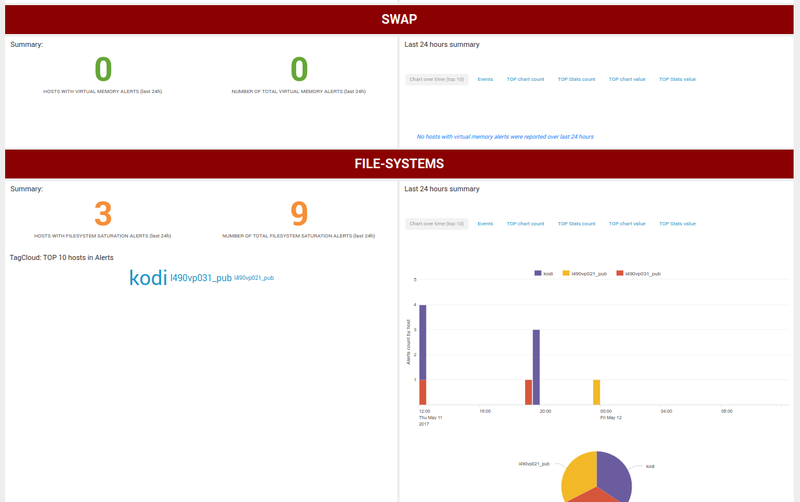 In the following sample, os (Splunk app for *nix) is approx. 12x the volume of nmon. 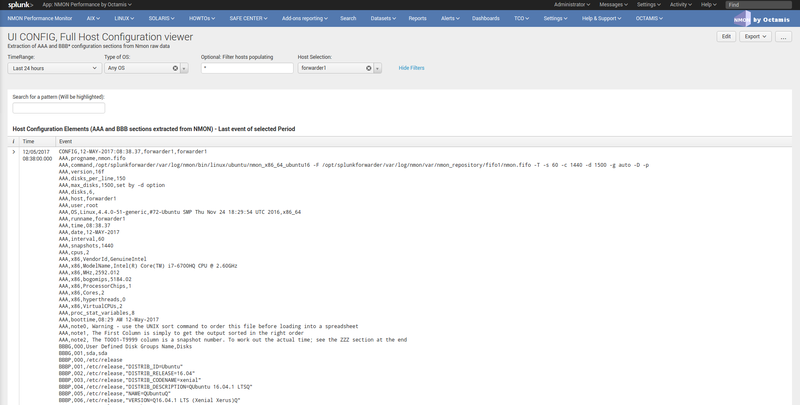 Depending on the configuration and the items to be activated, we can expect a ratio between 5x and up to 10x more data to be generated with Splunk app for *nix. 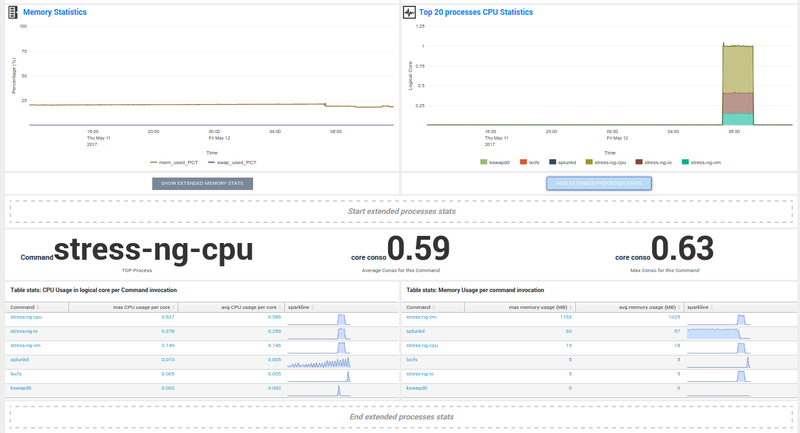 This demonstrates a “price to pay” being like 5.5 higher for Splunk app for *nix versus Nmon Performance. 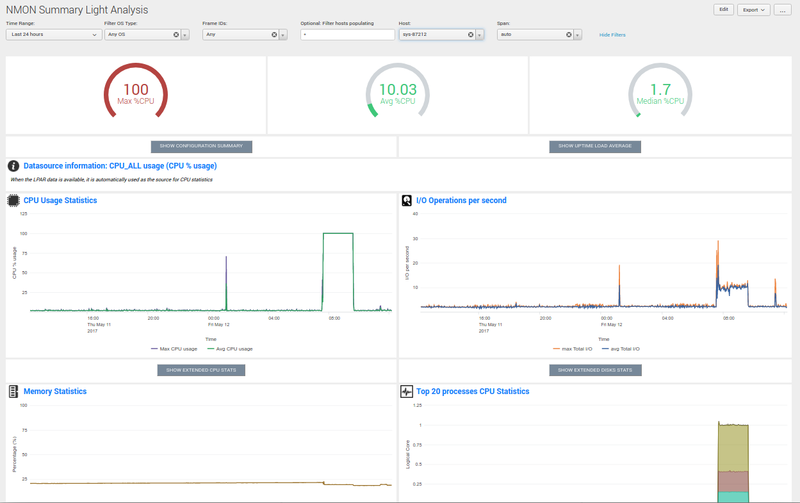 With Nmon Performance set to unlimited capture, and as a pure theoretical deployment scenario covering 1000 servers (an average large deployment), this would generate approx 16GB of data per day for Nmon Performance, and approx. 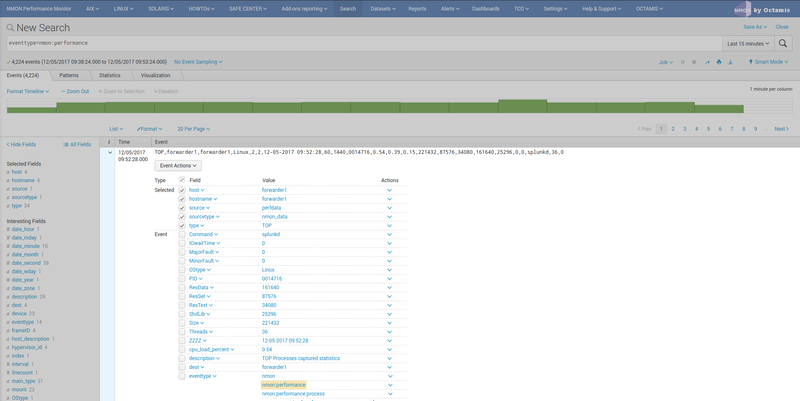 88 GB of data per day for Splunk app for *nix. 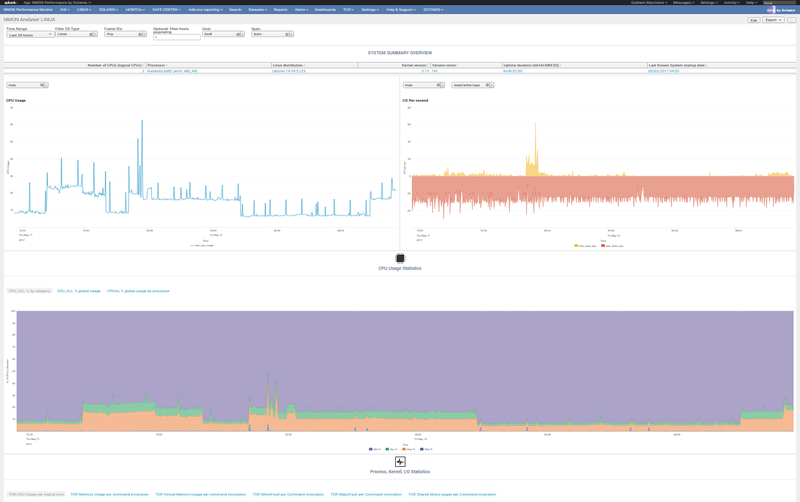 With the default Nmon Performance processes capture, the same scenario would be about 8GB of data per day for Nmon, and the same value for Splunk app for *nix. 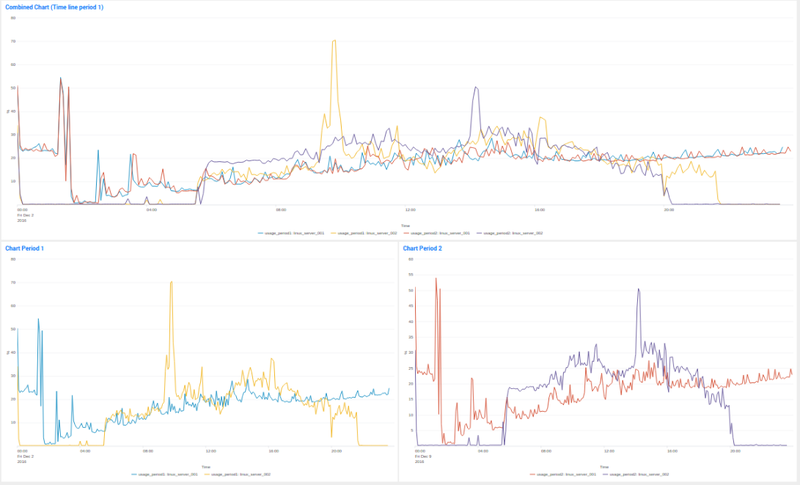 These values are purely theoretical but representatives, in a real life deployment the Nmon Performance volume might be slightly higher on busy servers (and large servers with large disks configuration and processes tables) but this is also through for Splunk app for *nix, the ratio will still much higher and the price to pay with Nmon much lower. 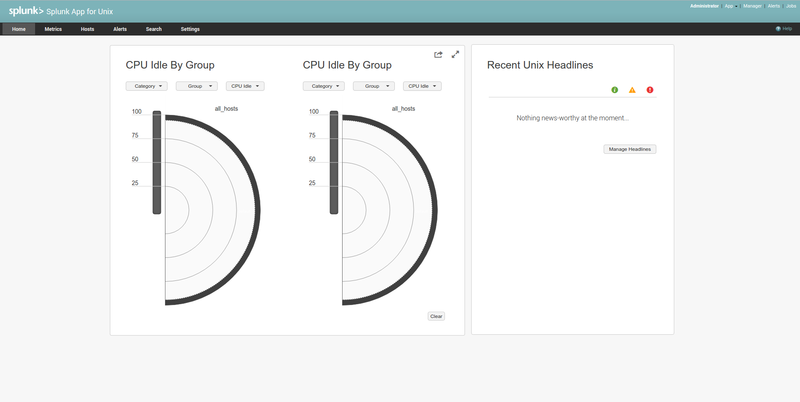 The home page exposes a “radial” chart, and as well recent Unix alerts (configurable). 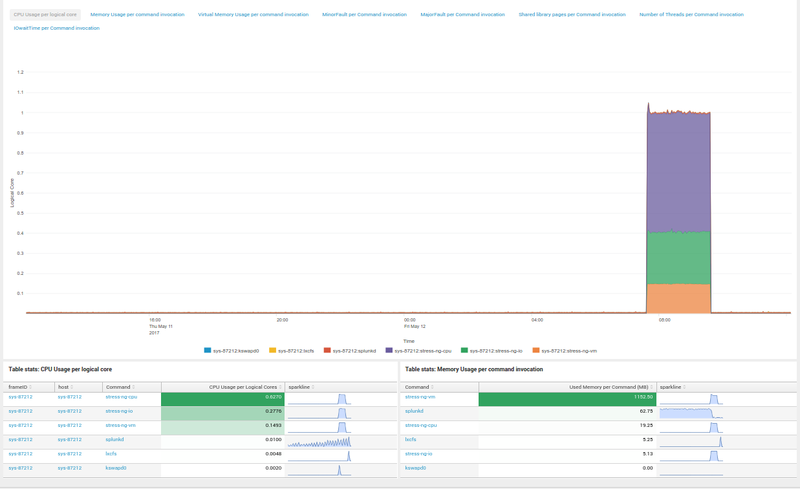 The goal of this is to provide a global picture of the servers main metrics and resources utilisation, however the homepage is quite problematic. 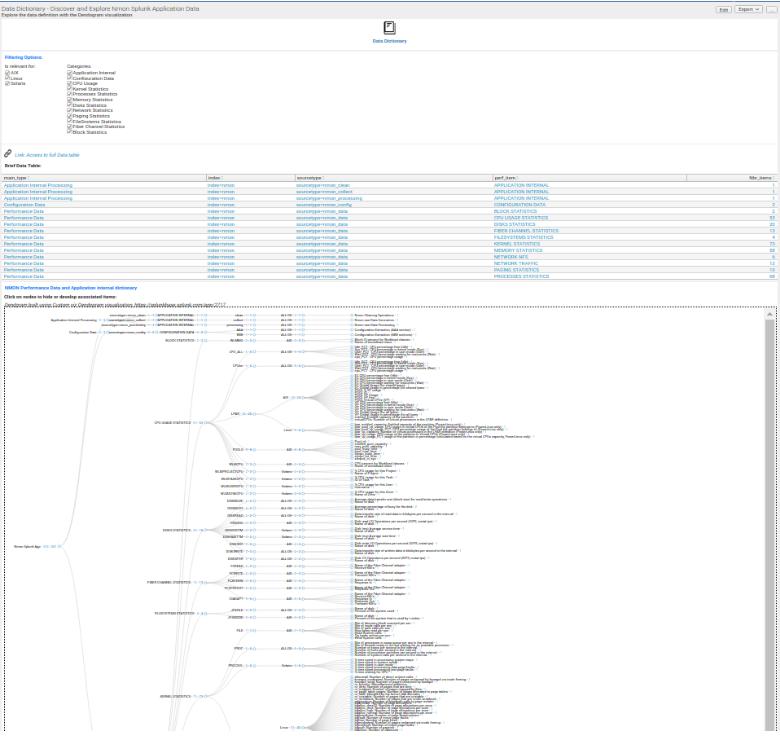 Built in advanced xml (deprecated language), the radial chart has a poor technical interest, in real Production life it is very likely to be useless. 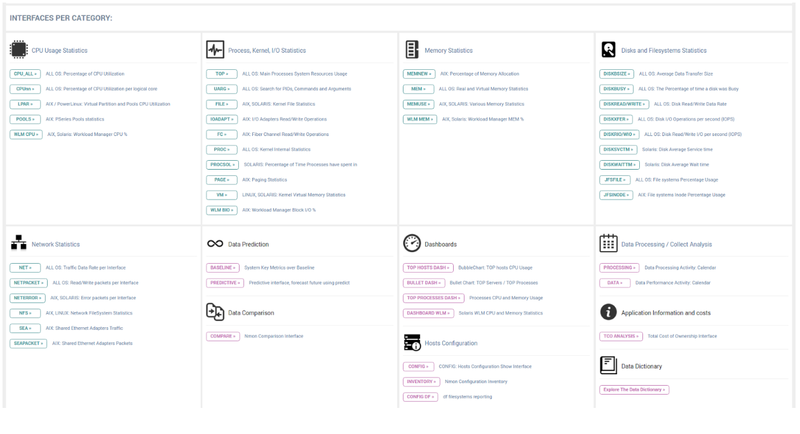 A full application menu structured by Operating system or category, provides fast access to interfaces, metrics, reports and more. This interface does not really provide the required pieces of material to perform a real analysis of system loads. 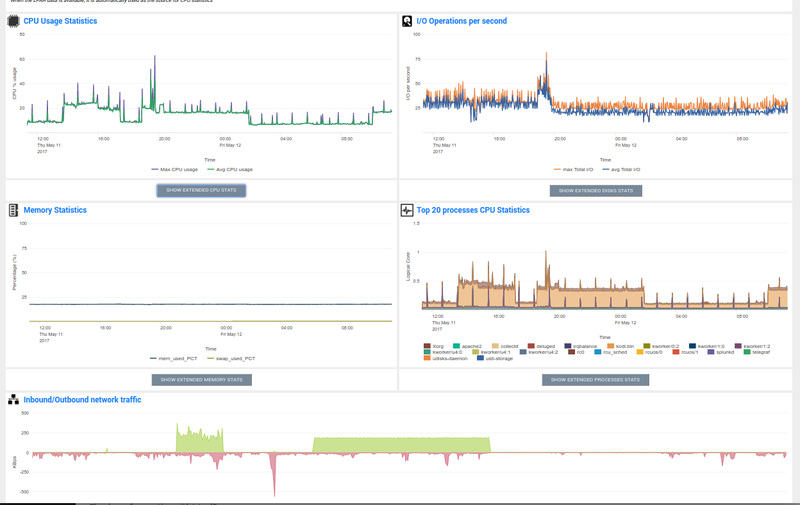 This provides some inventory information and as well a big picture of the servers load, however it does not really provide a human interface to performance metrics. 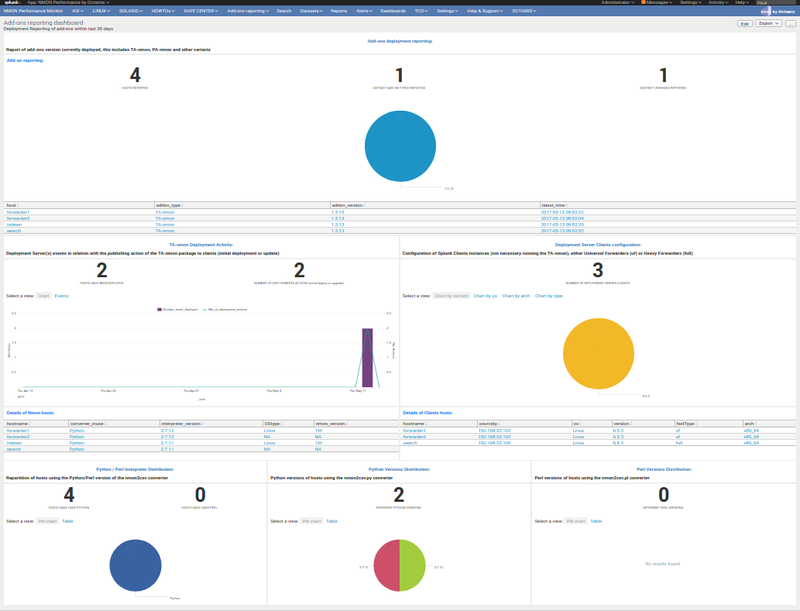 This interface is actually interesting as it provides a quick vision of some system key metrics for the involved by the alert. 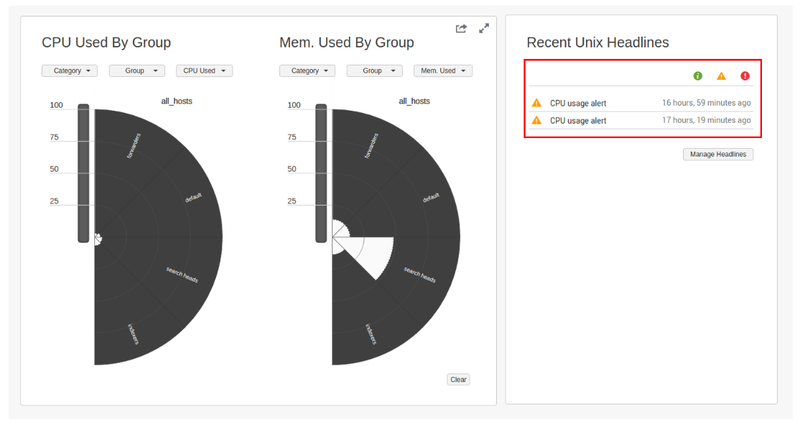 However, in a real deployment, alerting will occur frequently and this interface should be accessible without having to raise an alert for it. 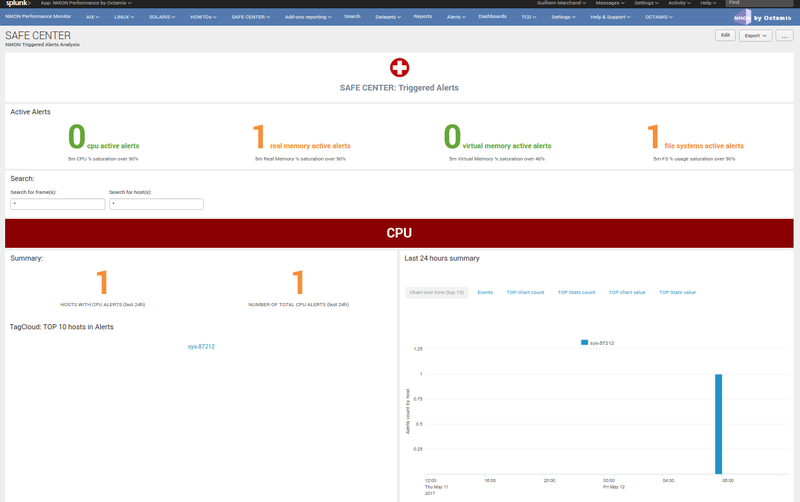 A such interface should be available for troubleshooting and analysis purposes out of the scope of system alerting. These alerts are slightly different in the meaning that they intend to analyse the duration of the consumption peak, and not only generating an alert when a peak occurs. 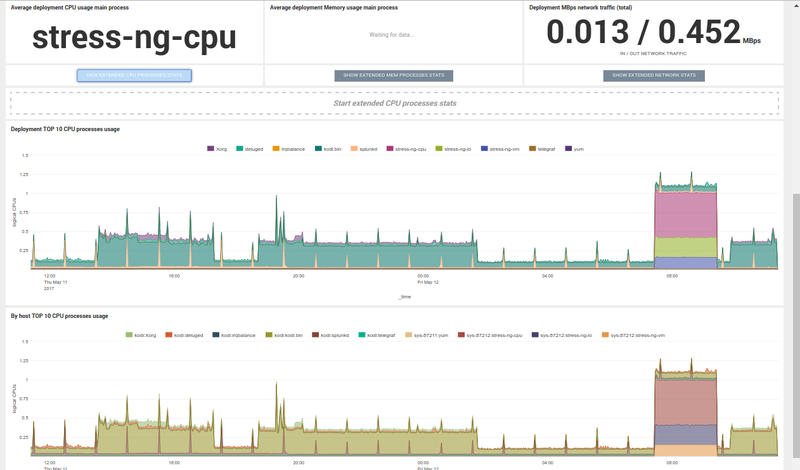 In this example case, we have used a system stressing tool “ng-stress” to generate an overhead on a Linux server, as shown above a CPU usage alert has been generated automatically. All these features comes as a standard of the application, available with absolutely no configuration. 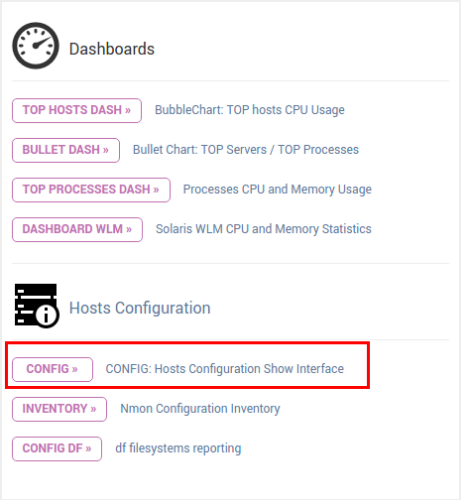 Host grouping is a feature provided by both application to group servers in a context that make them more easily exploitable, such as grouping specifics servers bases on a business unit, application context, data center or any information that makes sense for you. 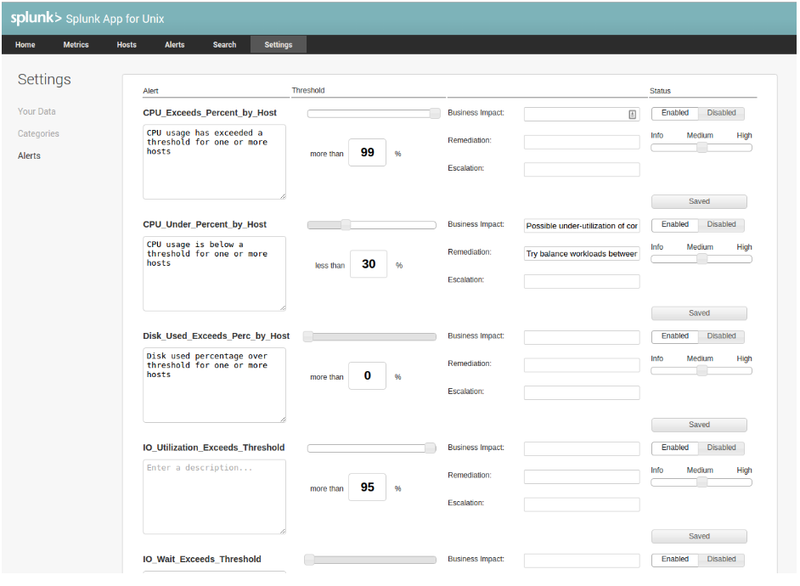 The application implements the concept of “frame identifier” under the field name “frameID”. 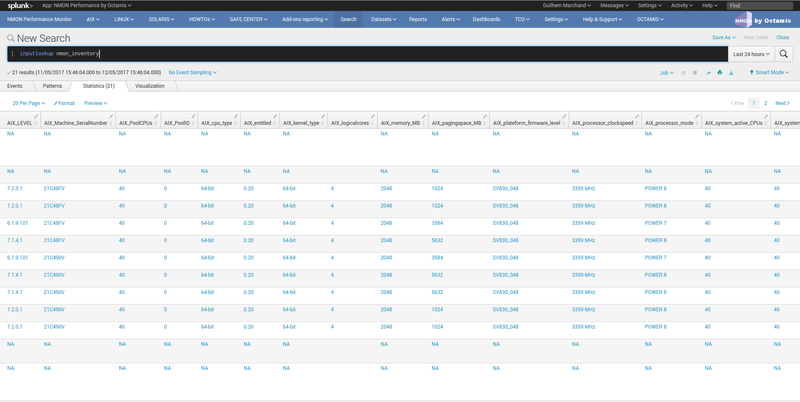 The frameID field is available for selection in most of the interfaces, it can be used to define a logical container grouping servers, this is being stored into a KVstore based lookup table, and use Splunk mapping lookup feature to enrich the raw data with those information. 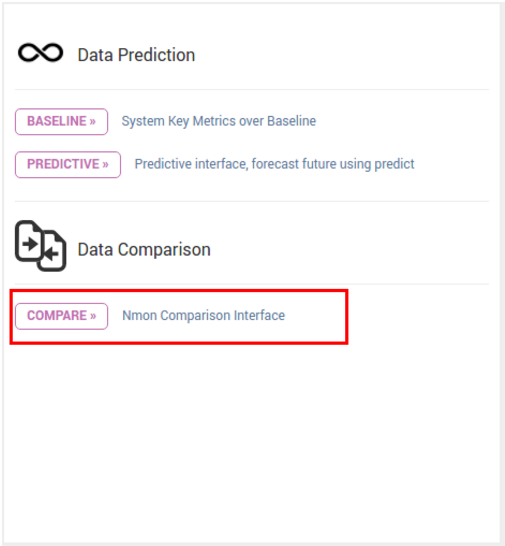 The “NMON Baseline” is a powerful and simple feature implemented in the application to provide an advanced analyses of resources utilisation anomaly detection. The calculation is made on a per day of week basis (Monday, Tuesday…), by time slices of 5 minutes, by host and over last 3 months of data. 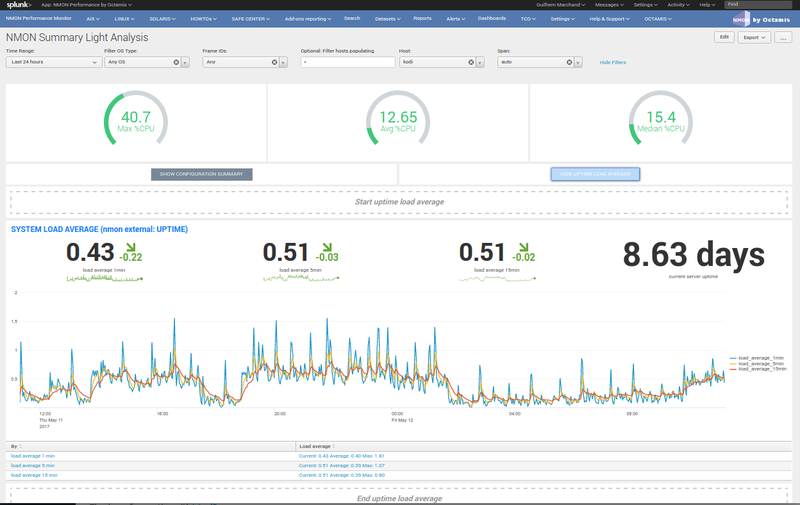 The baseline interfaces will manage and expose the current metrics usage over the baseline values. 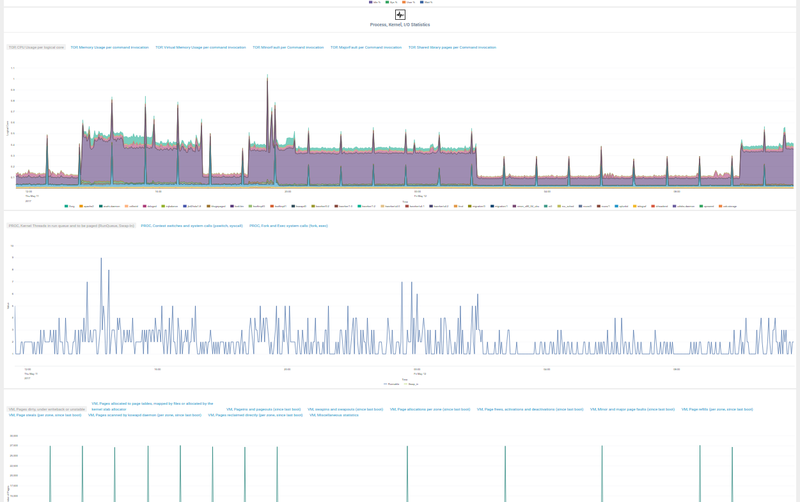 A baseline represents for instance the usual usage of the CPU utilisation over the last 3 month of data for the current day of the week. From this advanced analysis, we can determine if the current usage of the main metric is coherent with usual level of utilisation for that day of the week and the given time. As the baseline interface is even able to chart in the future, we can easily observe this along the day and detect any anomalies. 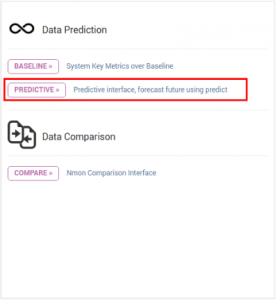 Using the predictive interface, users can estimate the future usage of key metric performance. 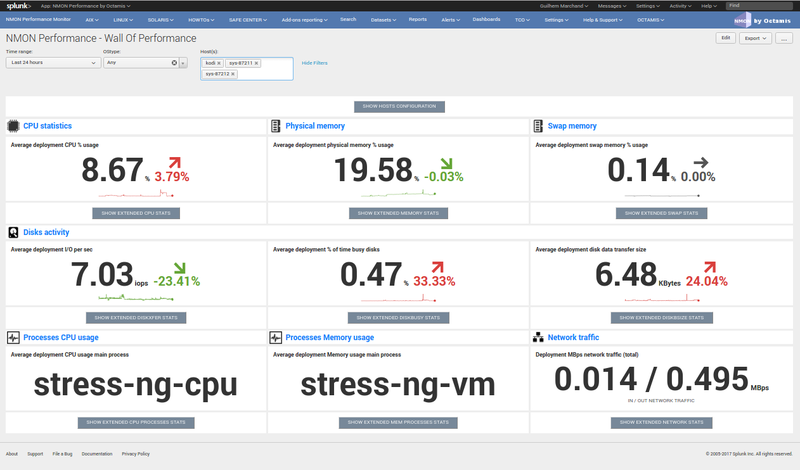 The Nmon Performance embeds a dictionary of every piece of data generated by the application, and available in it. 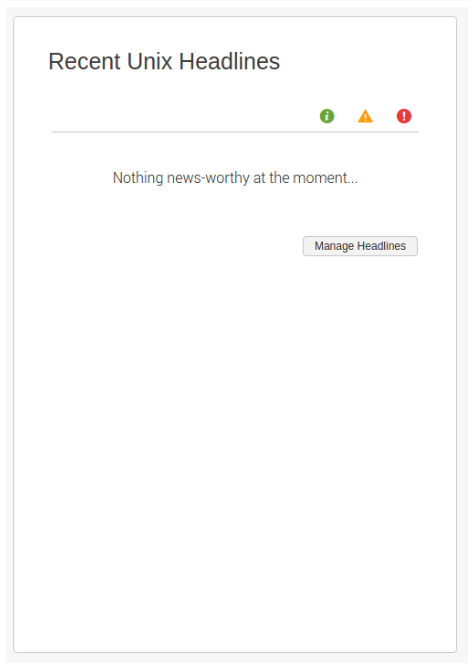 The application implements a bootstrap integrated navigation scheme which is available in most of interfaces of the application. 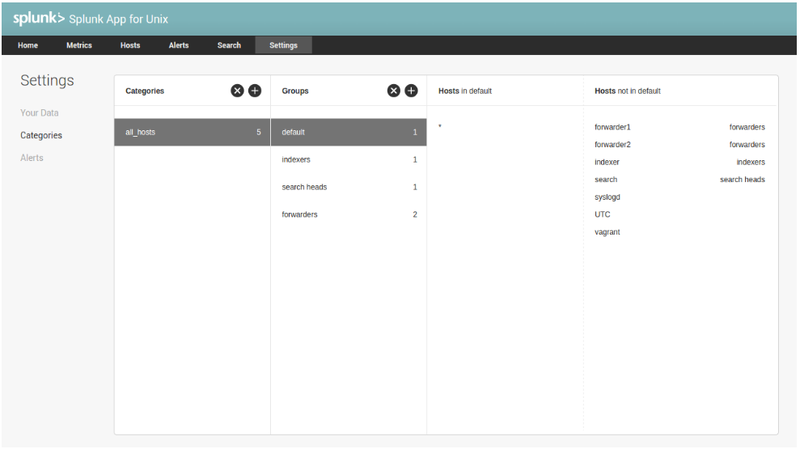 The bootstrap integrated navigation scheme provides instant and easy access to raw data access, additional information (such as definition of performance metrics) and fast link access to associated interfaces. 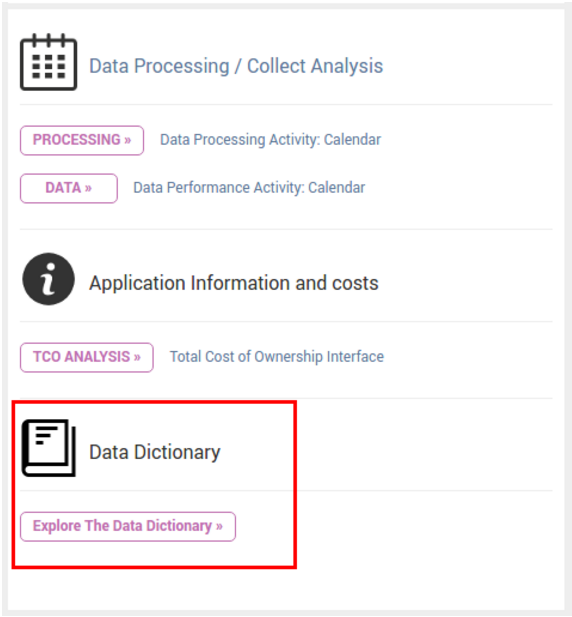 In the above example, clicking on the “Explore All” link opens a bootstrap window which explains the structure of the data available in the application, as well as direct link access to raw data. 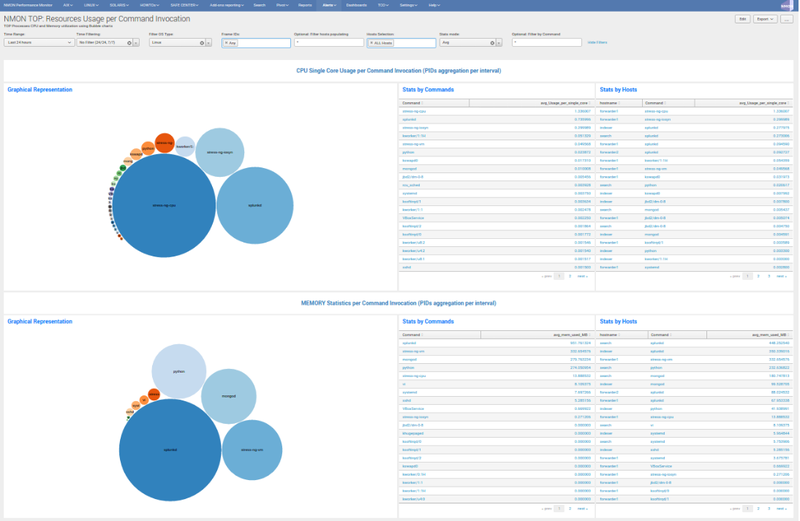 Every little search in the application will be based on a Splunk’s eventtype definition. 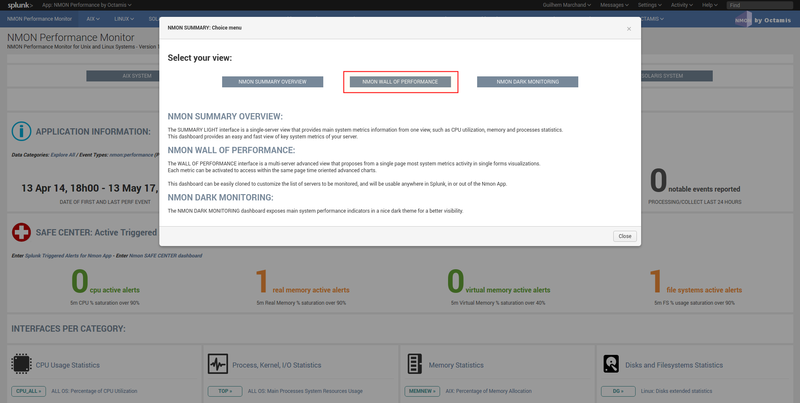 This very simple feature allows getting the data easily accessible in Splunk, organised, and easily adaptable to your needs. 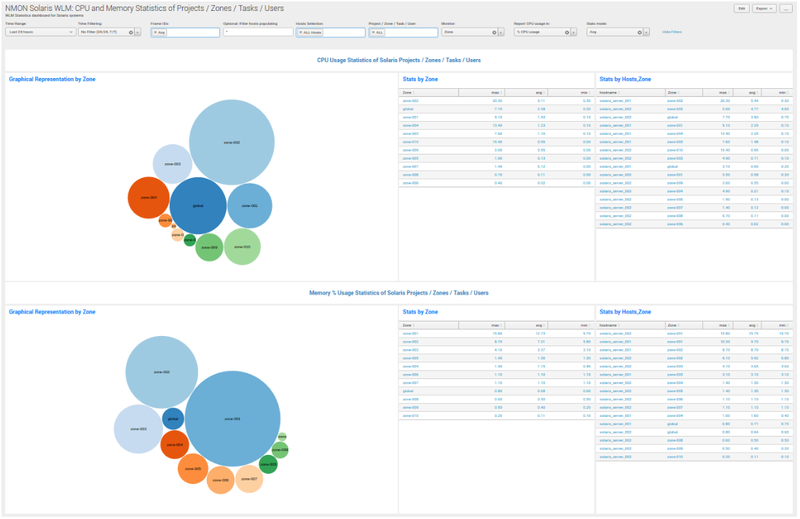 Most Splunk applications provide complex manipulation of the data they produce or exploit, unfortunately very few (if not none) will provide the minimal level of information to allow users exploiting the application’s data. 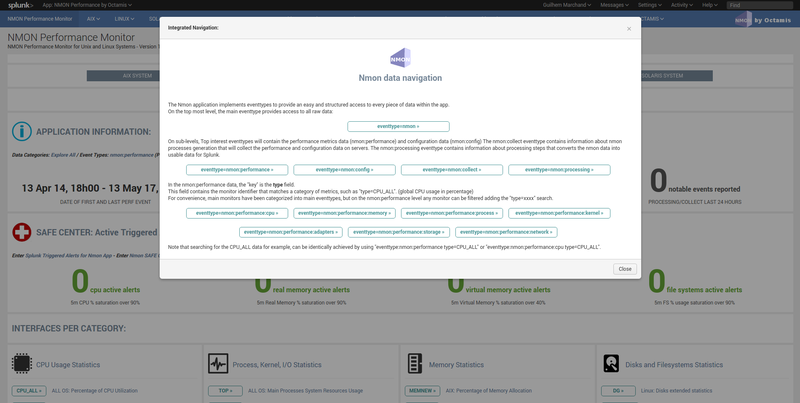 This is with this idea in mind that HOWTOs interfaces have been developed, these interfaces provide consistent and various examples of Nmon data manipulation with the Splunk Search Processing language. The Nmon application massively implements Splunk data models which provides great features for data manipulation and performances with data model acceleration. 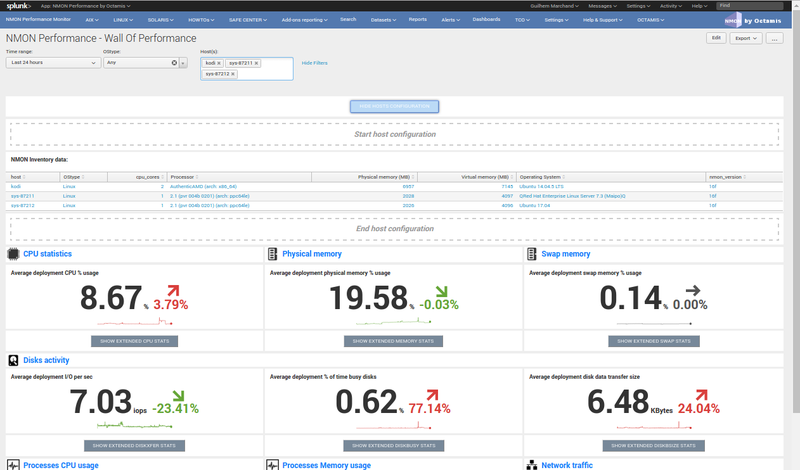 While regular Splunk search against the Nmon data will perform with the highest level of performance possible, data model acceleration provide the supplementary layer of optimization that allows the application to deliver the best performance possible. 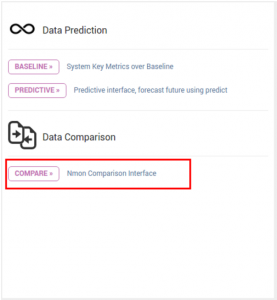 In this article, we have provided a detailed analysis of both solution features and behaviours. Can we fully compare these two solutions ? The answer is simple, yes, and no. While both application will manage performance and inventory data of main Unix and Linux systems, these two solution don’t really share the same goal. 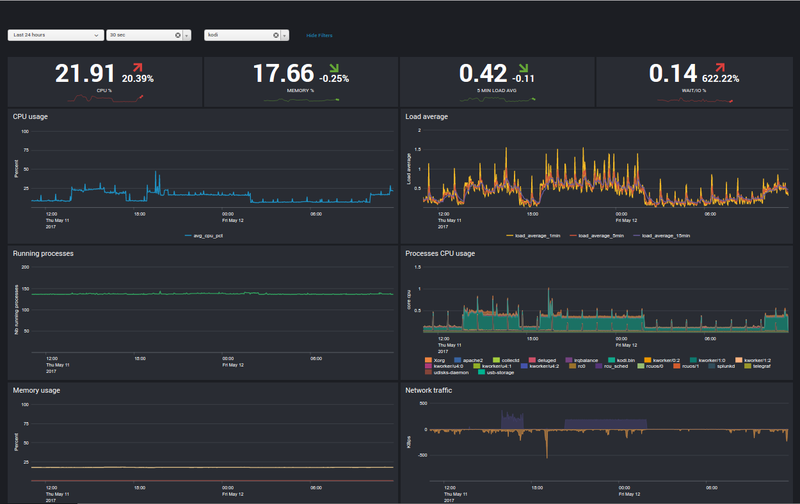 Splunk app for *nix intends to collect and ingest in Splunk various aspects of *nix system, including performance metrics and inventory data. 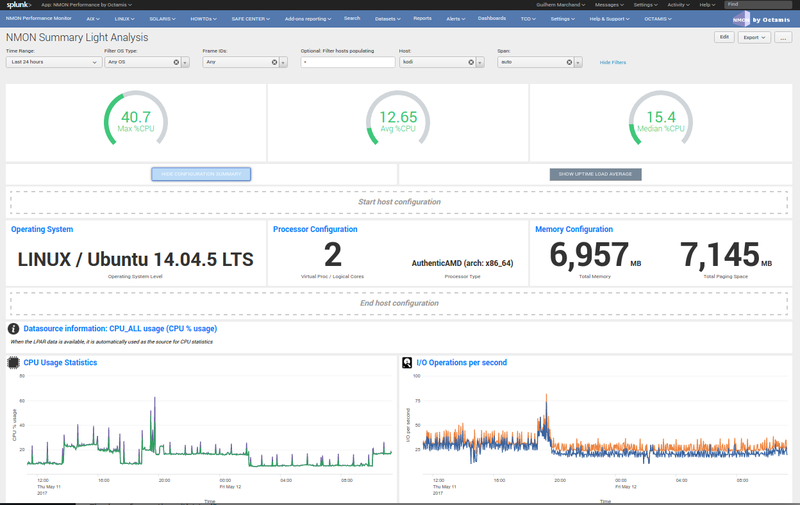 On the opposite, Nmon Performance monitor application for Splunk has been developed with the Unix philosophy, do one thing and do it well. 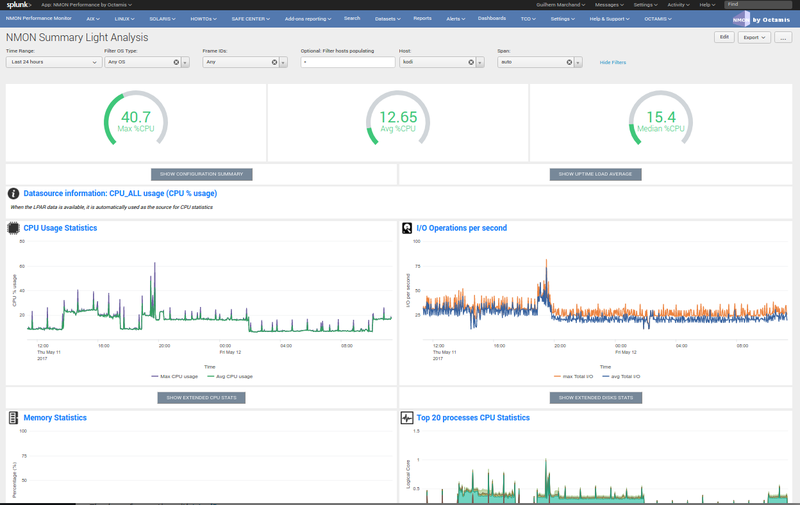 Nmon Performance only focusses on ingesting performance metrics and inventory data with the goal to provide the highest level of system performance analysis, with rich data and rich interfaces. Are both solution mutually exclusive ? The answer is no, it is totally possible to deploy both applications, and choose what will be activated in the data generation.